Equipment ages and technology improves. In order to continue collecting vital data and information, we must invest in new equipment. We are excited to announce that SECOORA purchased a new G3 Slocum profiling glider. The new glider will increase our number of glider days at sea and provide valuable data for hurricane intensity forecasting and ecosystem monitoring. Since this new glider is a SECOORA asset, we want SECOORA members to help us name it! We have narrowed down the number of possible glider names to three. The name options and descriptions of the potential names are below. Use the form to vote for your favorite! Voting closes on April 19, 5 PM. Thank you to the partners who helped make this happen: University of Georgia Skidaway Institute of Oceanography, University of South Florida College of Marine Science, U.S. 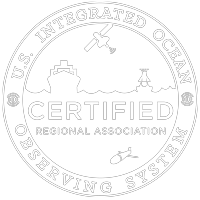 Integrated Ocean Observing System (IOOS), and IOOS Association.